Spend your winter holidays in Tyrol and explore the ski resorts Koessen and Zahmer Kaiser. 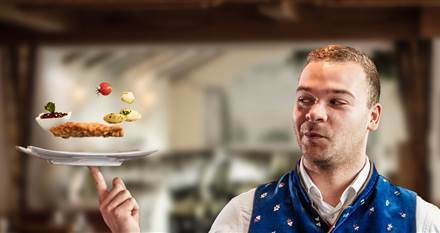 All prices are per person/day, including the Seehotel gourmet half-board and excluding the local tax of € 1.90 per person/day. Find out more about our included services. Comfort Double Room Waldruhe approx. 24 m² for Pers. The rooms of the Waldrue category combine an inviting atmosphere with a quiet location perfect for a relaxing stay. The spacious double rooms feature a cosy sitting area as well as a French balcony. Comfort Double Room Seeblick approx. 25 m² for Pers. 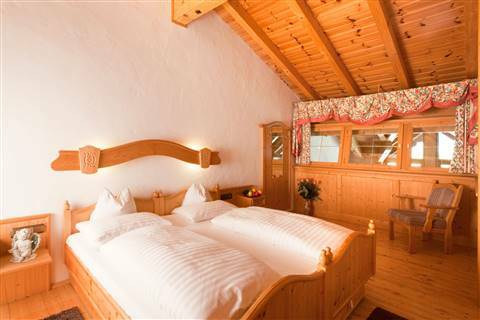 Enjoy the wonderful view on Lake Walchsee and feel at home in the tastefully furnished double room. Partly equipped with a comfortable sitting area, the rooms of the Seeblick category feature a French balcony as well as a shower, toilet, telephone, and satellite TV. Comfort Double Room Kaiserblick approx. 31 m² for Pers. 31 m² give you a comfortable feeling of space and the perfect view of picturesque Lake Walchsee will add to your relaxation as well as the modern alpine style of the furnishings with its natural materials and warm colours. The south-facing balcony is ideal for sunbathing. Attention: Dogs are not permitted. 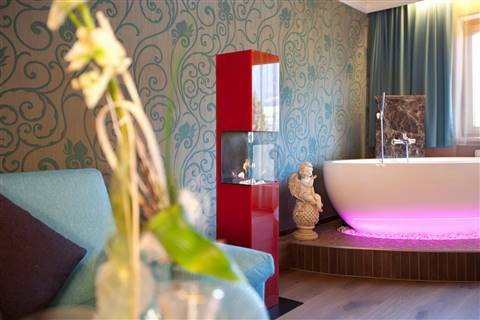 Alpine Feel Good Suite Innsbruck approx. 42 m² for Pers. 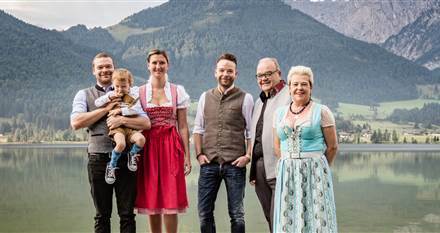 Family Suite Kitzbühel approx. 52 m² for Pers. 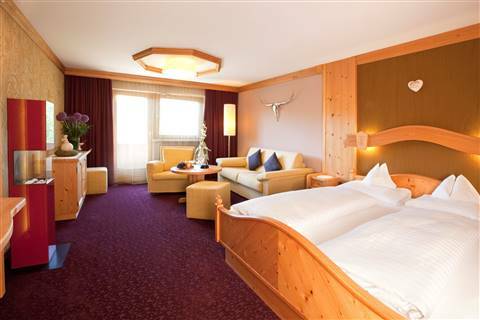 The family suite Kitzbühel boasts solid wood furniture and fresh-coloured details as well as an extravagant gallery bedroom, and a magnificent view of Lake Walchsee from the south-facing balcony. Prepare yourself a tasty snack in the kitchenette, relax in the cosy sitting area and enjoy staying in a unique living space. 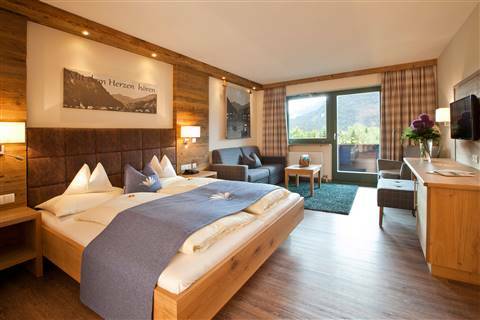 Private Spa Suite Tirol approx. 64 m² for Pers. Completely individual and exceptional – the Private Spa Suite Tirol. Take a luxurious bath and let your eyes feast on the lake panorama, or enjoy watching the warming fire in the decorative fireplace. You spend relaxing nights up in the separate gallery bedroom, and, if you wish so, you receive your spa treatments in your room (charged seperately). Comfort Single Room Waldruhe approx. 17 m² for Pers. The rooms of the Waldrue category combine an inviting atmosphere with a quiet location perfect for a relaxing stay. 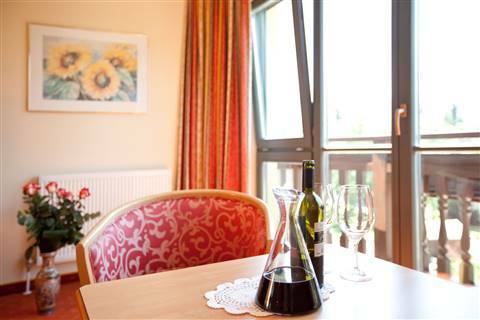 The spacious single rooms are partly furnished with a cosy sitting area and a French balcony. Comfort Single Room Seeblick approx. 18 m² for Pers.